All our instructors have at least the minimum qualification required for the discipline they are teaching. They will also hold their PB2 coastal certificate and a current First Aid certificate. We Sponsor our instructors and volunteers to get further qualified or improve their skills. In 2014 we funded 3 new dinghy instructors and a powerboat instructor. In 2015 we sent 4 members of the team to do their "multi-hull" endorsement. In 2016 we sponsored 2 new windsurf instructors, 2 paddle board instructors, a senior instructor and a powerboat instructor. We recognise we are not able to offer work all year round but we are proud of the successes of our staff who go on to full time work in this and related industries. Not bad going for a little centre in West Wales. If it is time for you to do your "Work Experience" we may be able to help . Centre Manager, Chief Watersports Instructor, Keelboats, Dinghies, Multihulls, Powerboats, Paddle board, Windsurf. 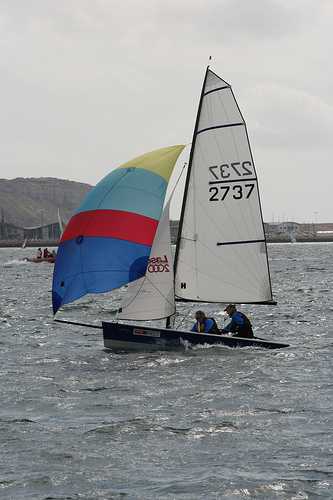 Crawford is a well known in the sailing scene in both New Quay and in the Midlands. 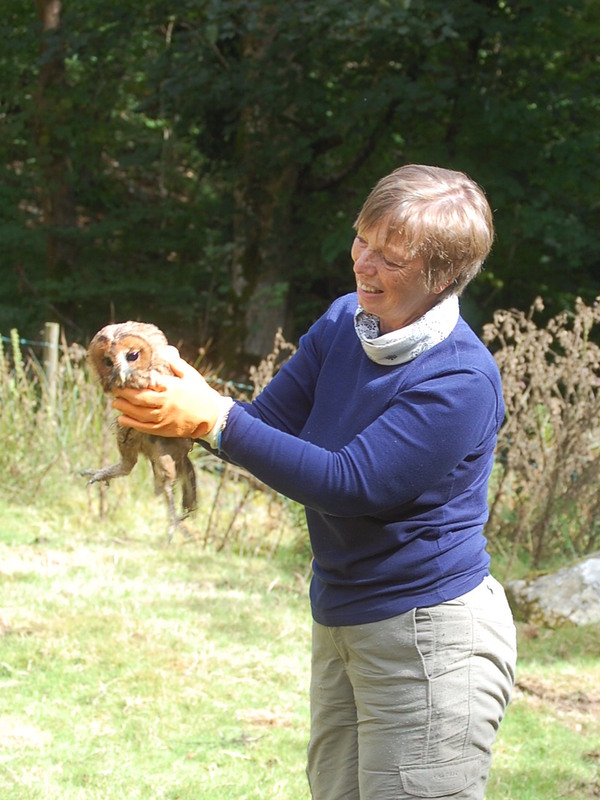 He joined the project full time in 2013 following years as a volunteer trainer. His main job now is to make sure the team have a mug of tea and there are enough biscuits to last the day out. 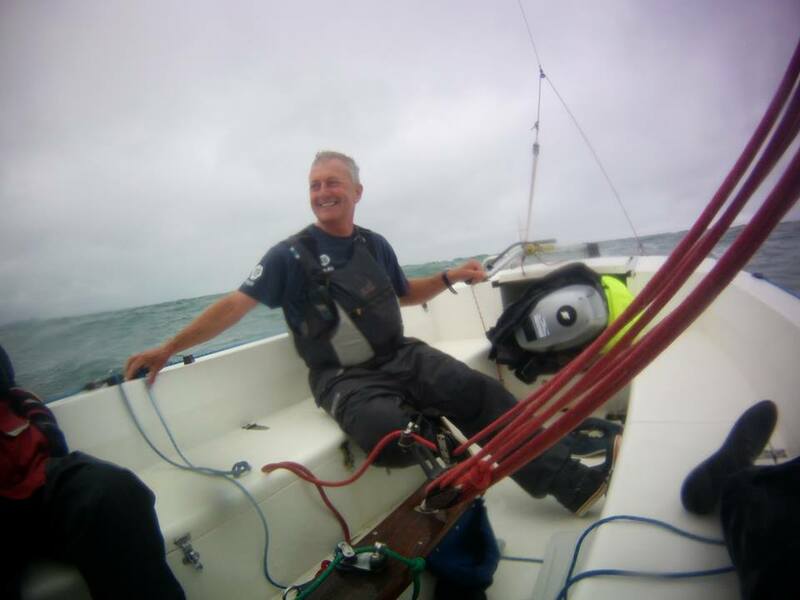 As an ex-Commodore of New Quay Yacht club he is still closely involved as a committee member and currently Sailing Secretary..
Then if there is any time / energy left at the end of the day he will take his Laser / Hawk / Windsurf board out for a blast. Steve has been sailing for more than 20 years and still loves sharing that knowledge out on the water. He helped establish the centre in New Quay and has been tireless in securing funding for the centre. His contribution recognised when he recently received Radio Ceredigion's "Volunteer of the Year" award. As well as instructing he is also the centre's Principal. When opportunity presents Steve will get out and sail his own boat. 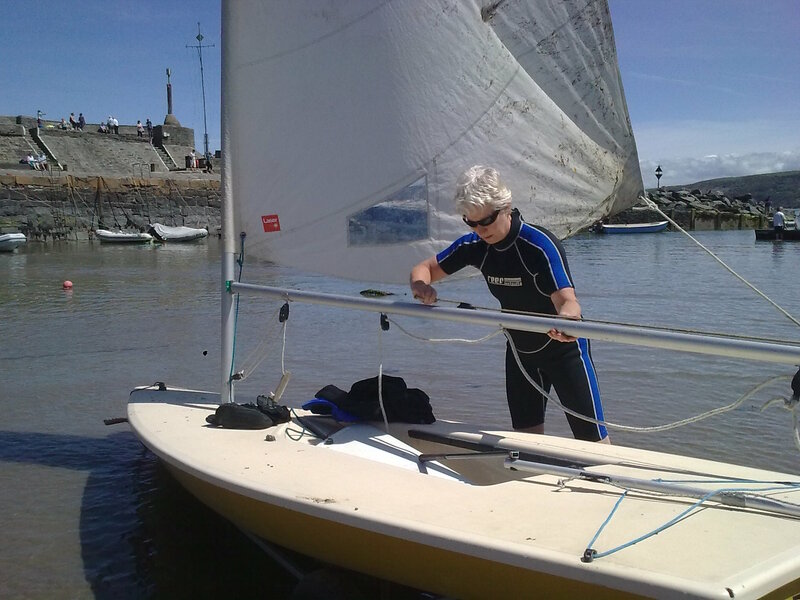 Jennifer has been teaching dinghy sailing so long that some of her early sailors are now bringing their grandchildren to learn how to sail. When the weather is right Jen is still keen to get out on the water in her own sailing boat or kayak. Jennifer has been a volunteer with the project since its inception. When not at the centre Jen is a swimming instructor and lifeguard at Aberaeron pool. Hannah comes to dinghy sailing via yachts and yacht racing so now appreciates why dinghy sailors are sought after to crew on the bigger boats. Qualified with WSA as a Paddleboard instructor. When not working at the centre Hannah is a Ju Jitsu instructor, so we find her students are all very well behaved ! Sheila works as a volunteer in the centre but when she gets a chance enjoys sailing the Hawk 20. Off the water Sheila spins, weaves and make great woollen clothes. Amanda's daughter is into sailing so as Amanda was hanging around on Saturday mornings, we persuaded her to join in. Amanda is now very at home on and in the water ! In 2016 with the help of a Community Chest grant has completed a 4 day paddle boarding instructors course. A volunteer meeting and greeting customers or out on the water. Amanda is also the centre's Child Protection Officer. Her "real" job is a nurse and health visitor. 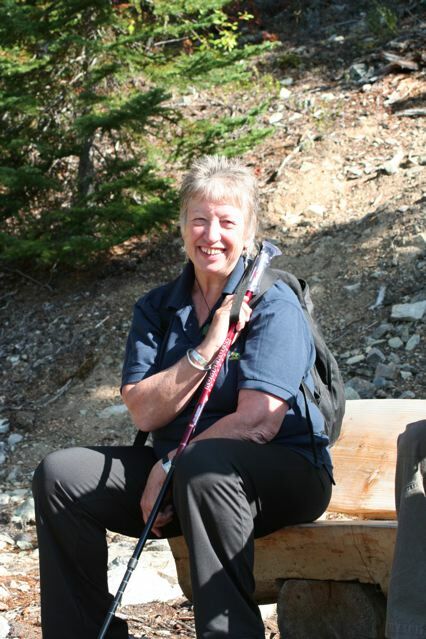 Pauline lists her passions, First Aid, Kayaking and wildlife. An Auxiliary Nurse with over sixteen years' service. She has worked with the Ambulance service as a Community First Responder, and as a medic covering sporting events. A keen kayaker for over twenty years, and coached for over fifteen years. When not teaching enjoys being in a kayak hoping to see dolphins and seals or on a walk watching Red Kites. Her love of the water and nature she has found a way to be part of both in water sports. Leanne is also a qualified beach lifeguard, surf instructor, yoga teacher and personal trainer. 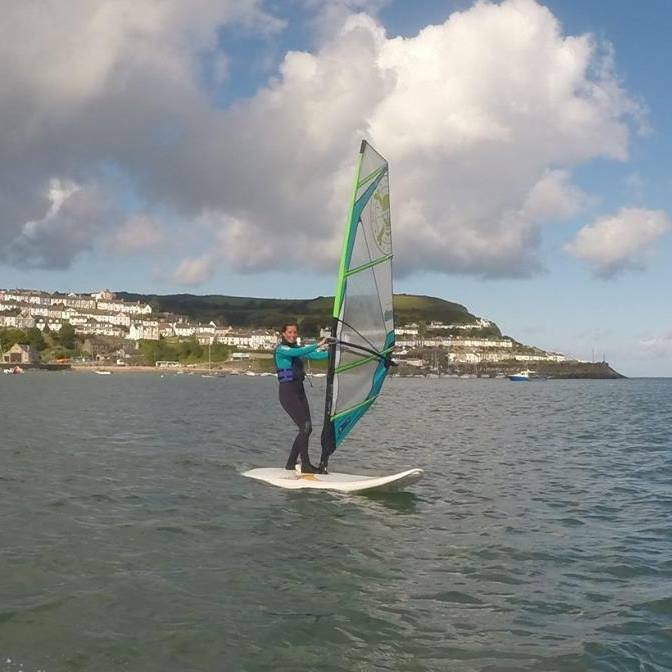 Laura pictured displaying one of her many talents as a windsurfer. You will see her mostly on a paddleboard. Laura is also a dive instructor, marine biologist and crewmember on the RNLI inshore and all-weather lifeboats. In his previous life John was a bare foot ski coach ! So if anyone can get you skiing John can. Matt teaches VHF radio and navigation courses for CBW. 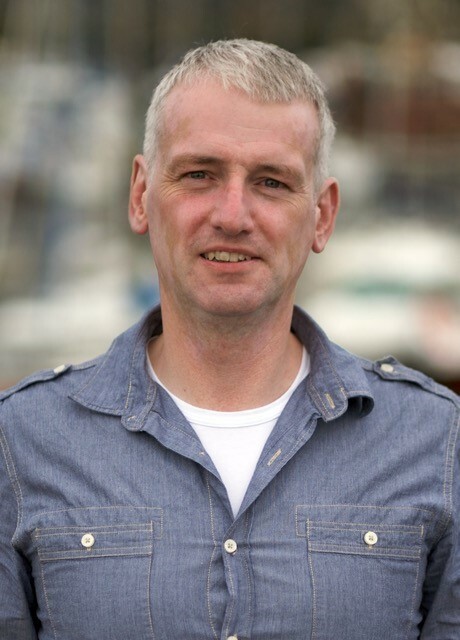 He is one of the Senior Helms for Aberystwyth RNLI a role which he has held for the last 22 years. So he should have some stories to share. Andy is the paddleboarder you might see paddling from Aberaeron to New Quay or out on the reef when everyone else is on the beach ! 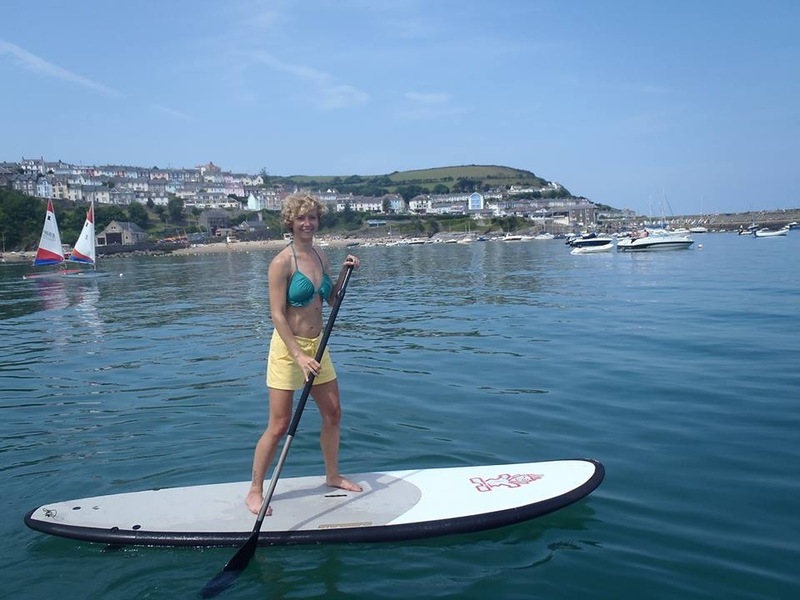 Or posing for the camera in New Quay, follow the link to You tube. 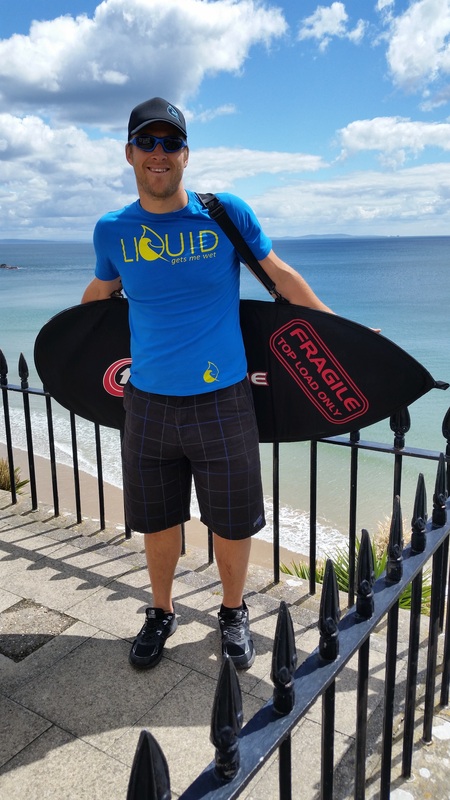 Simon is new to teaching but not windsurfing. Go on, ask him anything about boards and rigs. Ian's mum bought him his first board when he was a young teenager. That was a little while ago and he has been windsurfer ever since. Time for him to pass on some knowledge. 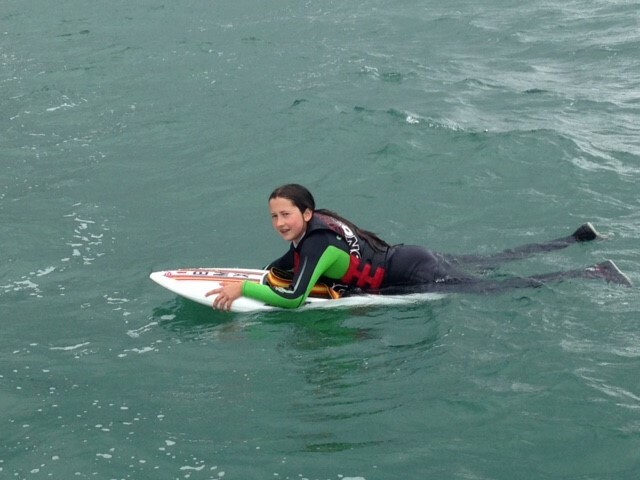 Jessica is one of our watersports assistants, still at school but keen to spend time with us on and off the water. A stage 4 sailor she can also windsurf, paddleboard and kayak. Ruben is our "saturday boy". 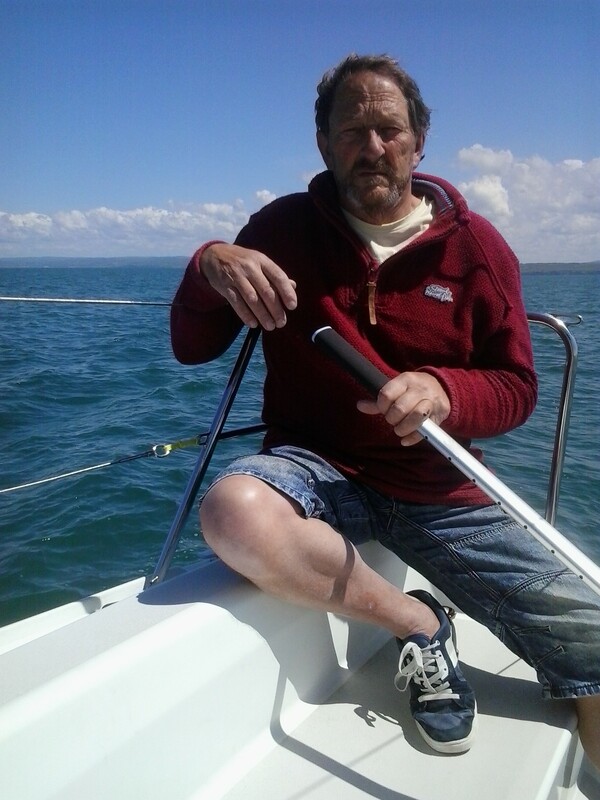 He did his Sailing courses with us so knows his way around the fleet at Cardigan Bay Watersports. This was an ideal place for him to get in his volunteer time for his Duke of Edinburgh award. As he is a useful and helpful young man he now works for us on Saturdays, and some other days too. In the spring of 2019 he will be doing his Dinghy Instructor course, sponsored by the centre.